Kick off your visit on the 2nd (Tue): admire the natural beauty at Indira Gandhi Tulip Garden, contemplate the waterfront views at Dal Lake, and then don't miss a visit to Shankaracharya Hill. To see traveler tips, reviews, other places to visit, and tourist information, read our Srinagar trip maker app . Newark, USA to Srinagar is an approximately 27-hour flight. You'll lose 10 hours traveling from Newark to Srinagar due to the time zone difference. 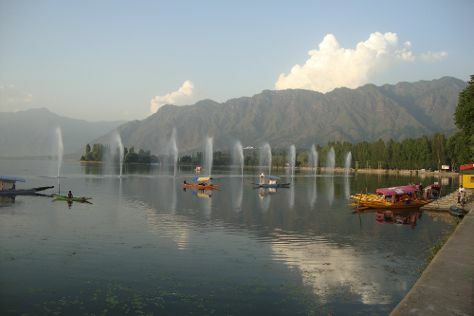 In July, daytime highs in Srinagar are 83°F, while nighttime lows are 67°F. 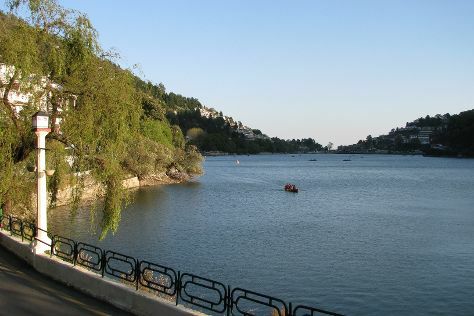 Wrap up your sightseeing on the 2nd (Tue) early enough to travel to Nainital. On the 3rd (Wed), learn about wildlife with up-close encounters at High Altitude Zoo, then take in the spiritual surroundings of Goddess Naina Devi, then explore the activities along Nainital Lake, and finally contemplate in the serene atmosphere at Hanuman Garhi. To see where to stay, photos, and tourist information, go to the Nainital visit planner. You can do a combination of flight and taxi from Srinagar to Nainital in 5.5 hours. Other options are to drive; or do a combination of taxi, bus, and train. Finish your sightseeing early on the 3rd (Wed) so you can drive to Agra. Kick off your visit on the 4th (Thu): contemplate in the serene atmosphere at Mina Masjid, take in the spiritual surroundings of Bageshwarnath Temple, then take in the spiritual surroundings of Dayal Bagh, and finally cool off at Dolphin The Water World. On the 5th (Fri), you'll have a packed day of sightseeing: explore the historical opulence of Agra Fort, make a trip to Jahangir Mahal, and then admire the landmark architecture of Taj Mahal. Inspirock's itinerary builder makes planning a Agra trip simple and quick. Getting from Nainital to Agra by car takes about 6 hours. Other options: do a combination of taxi and train. Expect a daytime high around 94°F in July, and nighttime lows around 80°F. Cap off your sightseeing on the 5th (Fri) early enough to go by car to New Delhi. 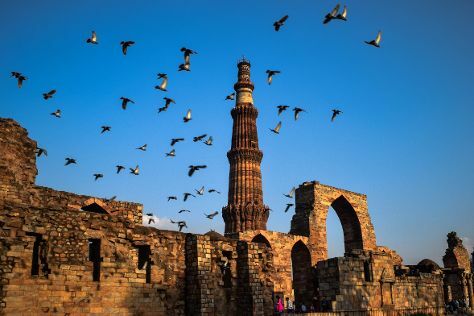 Start off your visit on the 6th (Sat): admire the landmark architecture of Qutub Minar, admire the natural beauty at Humayun's Tomb, then don't miss a visit to Hazrat Nizamuddin Darga, and finally make a trip to India Gate. To find where to stay, more things to do, photos, and other tourist information, read New Delhi itinerary planner . You can drive from Agra to New Delhi in 3 hours. Other options are to take a train; or take a bus. In July, daily temperatures in New Delhi can reach 95°F, while at night they dip to 80°F. You will leave for home on the 7th (Sun).